Paper Mario: Color Splash isn’t the Paper Mario sequel I wanted, but I would be lying if I said it wasn’t a ton of fun. Filled to the brim with a cast of colorful characters, dad puns, and meta Nintendo humor, I couldn’t help but love my time with Color Splash ? 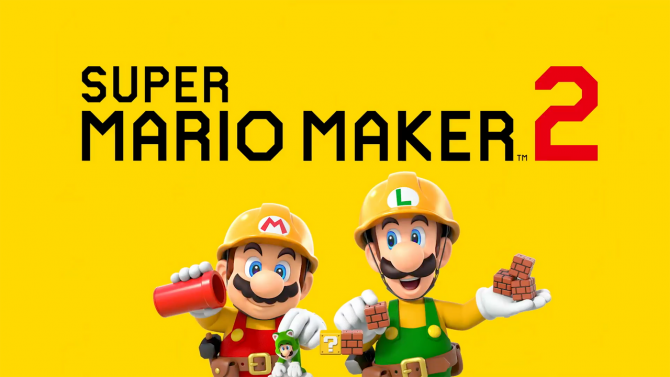 even if it isn’t the true-to-form Paper Mario game the fanbase is clamoring for. 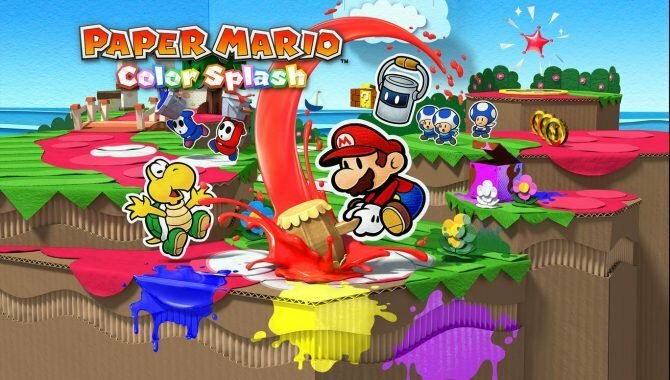 Announced only a few months ago, Paper Mario: Color Splash is the fifth official game in the series. As you would guess by the name, the title sports a home crafts and paper motif that carries along more punchlines than it should rightfully be able to. After a fairly cinematic opening where Peach is mailed a color-drained Toad, Mario decides to take the Mushroom Kingdom entourage to the distant locale to get to the bottom of it. 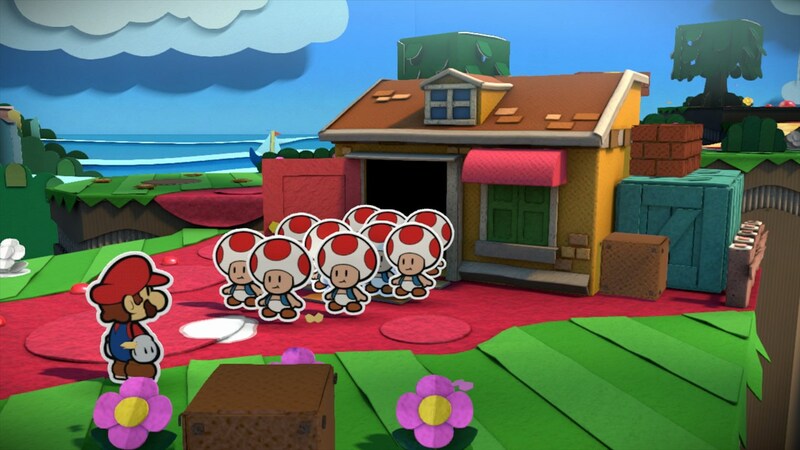 After a long sail to Prism Island, Mario and his companions discover that the island has been majorly drained of color ? the life-blood for both the toads that inhabit it and the island itself. With the aid of a mystical paint can (Huey) and a paint-spewing hammer, Mario is tasked with collecting all the Paint Stars (special stars that return paint and color to the island). The story is by all means engaging in the typical, lighthearted Paper Mario way. Every story arc opens a door leading to a new series of puns, subverted jokes, and meta-nonsense. Even when the jokes are cheesy ? and they are cheesy often ? I couldn’t help but smile at the ridiculousness. 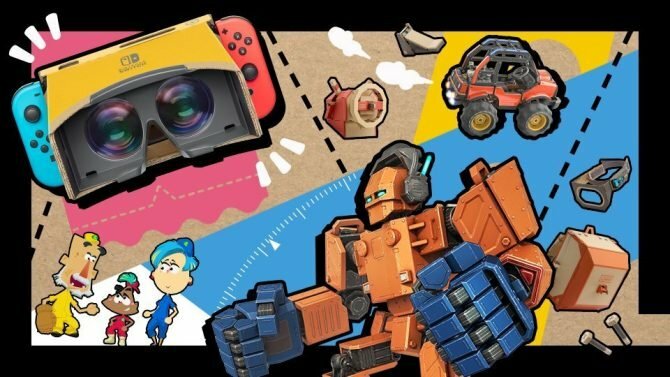 Nintendo has done a fantastic job creating a world where you want to interact with everything and everyone. 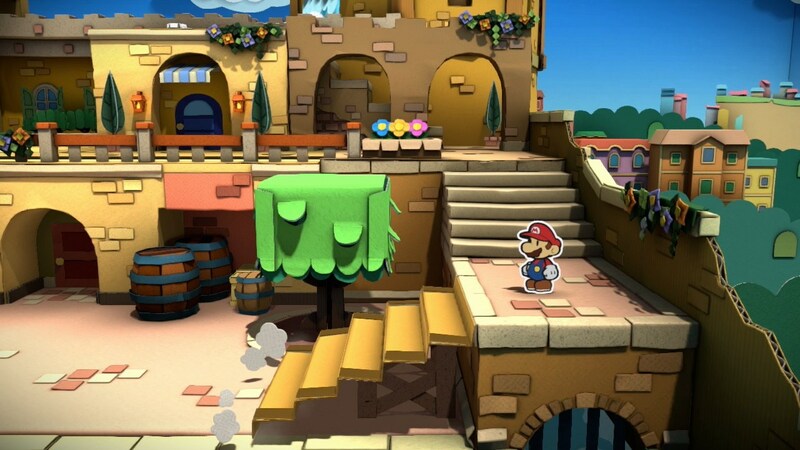 Along with cheeriness of the world, everything about Paper Mario: Color Splash oozes charm. While other Nintendo games have touched on the craft-themed aesthetic (Yoshi’s Woolly World and Kirby’s Epic Yarn to name a few), Color Splash manages to pull the aesthetic off best. Each environment with Prism Island ? whether we are talking the beginner grass levels, desert levels, or tower levels ? looks superbly crafted and popping with color. Exploration never feels like a chore, and you are always left guessing what each new place will hold. The graphics and textures pop on the Wii U (moreso than the included screenshots convey), making for a simply gorgeous title. Color Splash is in many ways a non-linear experience, although there are touches of direction here and there. 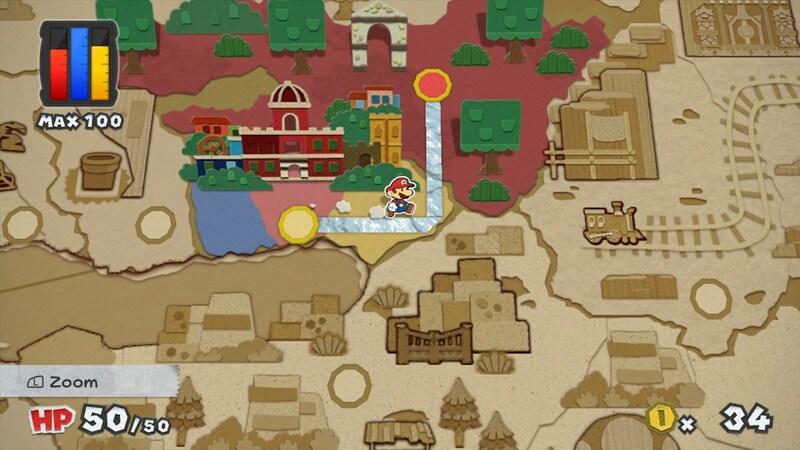 After cleaning up Prism Port, Mario is let loose in the overworld where he can select a level and search for Paint Stars. Typically, most levels will have two and capturing either will unlock separate paths to different levels. Eventually, after doing this enough times, players will hit a brick wall where they have to finish up the story beats in their current location before moving on. The mix of the two elements creates the perception of freedom, yet always kept me from feeling overwhelmed. While the formula typically works, there was always a major point of ire at the end of each levels ? the paint stars (if there were two) would typically be only a few inches or a screen apart. 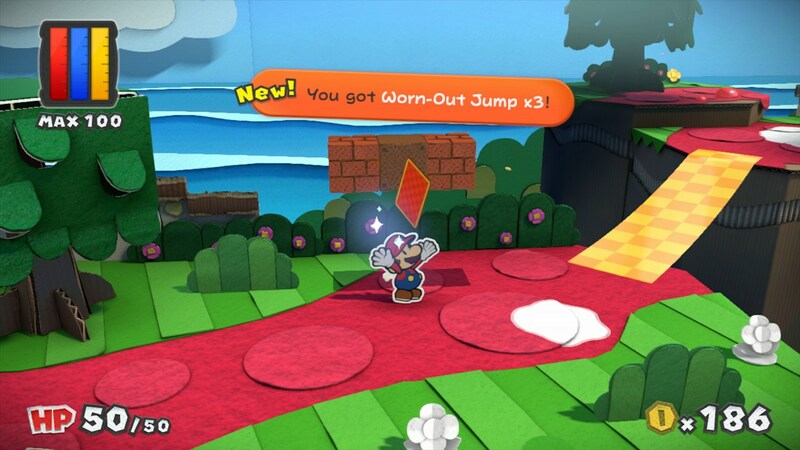 After grabbing one of the stars, however, you are kicked back to the overworld map and forced to trek all the way to the end again to grab the other one. It frankly feels like a slog, and I would attempt to break up the monotony by never playing the same level back-to-back. What makes the trek even more annoying is a battle system that I personally find needlessly frustrating. 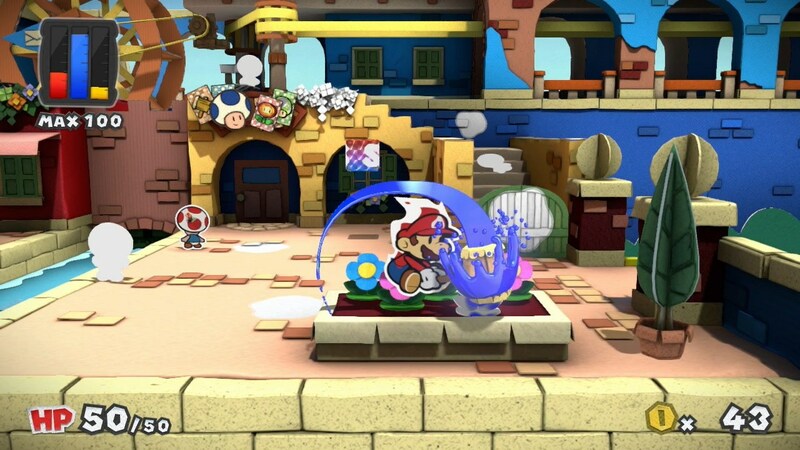 Like the often criticized Paper Mario: Sticker Star, Mario relies on a collection of Battle Cards to plan his attacks. 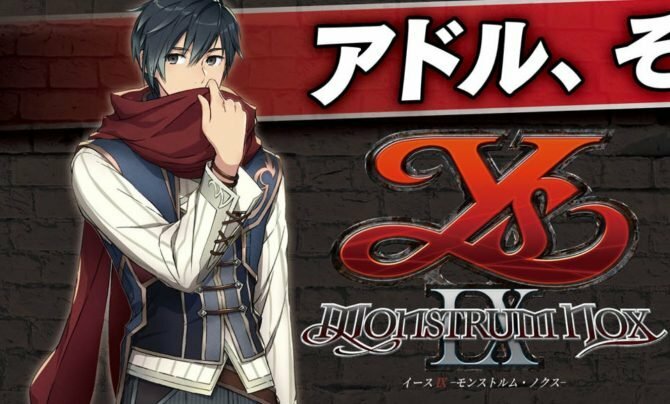 Using the GamePad’s screen, players will navigate through the battle cards they collected, fill the battle cards with color (if needed), and then flick them onto the main screen, where the battle carries on with the standard turn-based RPG gameplay. Everything about that three-step attack scheme feels gimmicky, arbitrary, and entirely unnecessary ? 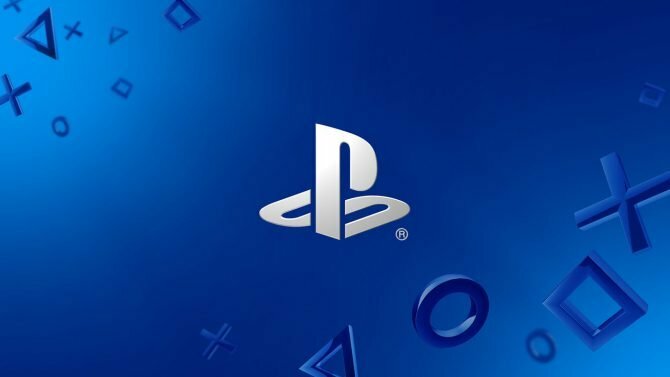 especially with the default touch-based controls. It artificially lengthens battles and mad me actively avoid fights when I could. 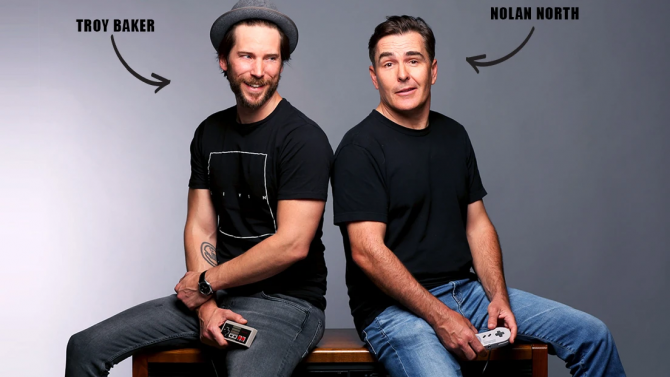 Although you are able to switch the controls to button input in the setting, I still felt like the game would be better served with a more classic Paper Mario battle system ? perhaps something from Thousand-Year Door. While I didn’t enjoy the battle mechanics, fights are always short (typically no more than a turn or two) making it more of a passive annoyance ? albeit one that is fundamental to the title ? rather than something that would keep me away. Compared to other RPGs, Paper Mario‘s fighting always takes a back seat to the story, characters, and puzzles, so it never felt like a major hindrance to the title… moreso to my patience. Beyond looking for Paint Stars, Mario has an extra objective of combing through levels looking for giant patches of white and filling them with a smack or two of the paint hammer. The white spots range from huge obvious white spots in the ground to the tiniest stone covered in white. And thanks to the 2D characters in 3D environments, expect to miss your swings a fair amount of times. 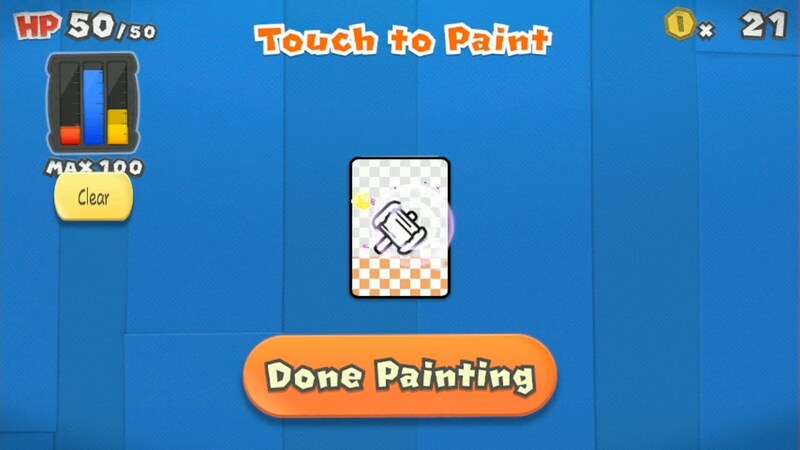 Each time Mario uses paint, it drains it from his paint storage (the Red, Blue, and Yellow bars in the top left corner) which can then be refilled with paint droplets around the environment. Even after combing through areas on my second-trek, I would typically get stuck at 95-99% — a fault I blame more on inability to notice fine details rather than a fault of the game. However, the search for white spots was always enjoyable, and more importantly required the player to be more explorative when running through levels. Along with the search for white spots, occasional puzzles and backtracking helped create the sense of adventure that pays off for Color Splash. Although the new cutout feature (an ability that lets you extract areas from environments) felt shoehorned in and vaguely explained, the vast majority of the puzzles always felt lighthearted and fun. They are unlikely to challenge you too much, but are diverse enough that they were always interesting. Last but not least, the game is filled to the brim with extras that will undoubtedly keep you entertained. 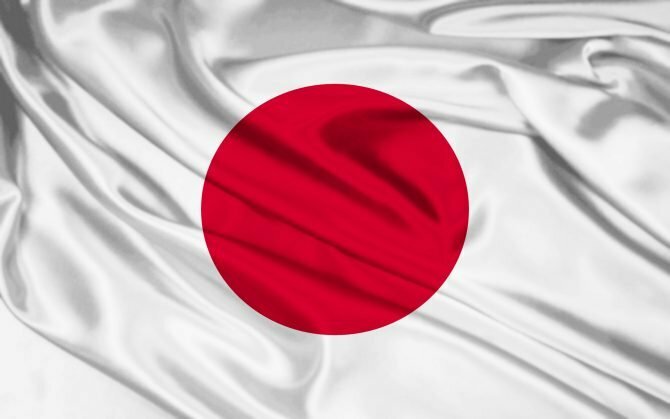 Whether it is the Temples of Ro-Sham-Bo where you participate in over-the-top Rock Paper Scissor contests or hidden prize areas, the game felt diverse.